One of the true honors for local high school baseball seniors, worthy of an invitation, is the opportunity to play in the annual Brooks Robinson All-Star Game at Camden Yards and several shined Sunday, as the event renewed for the 37th time following the Major League contest between the Baltimore Orioles and Florida Marlins. The festivities began with a on-field ceremony, prior to the Orioles-Marlins game, where players from both teams were greeted Orioles outfielder Joey Rickard and Brooks Robinson, Baltimore’s ever-popular 81-year old Hall of Famer, who has championed this game since its inception. Participation is key, as evidenced by the fact that each team fielded 10-man batting orders and the winning team actually batted in the bottom of the seventh inning despite already having the game won. For the record, the South squad captured the victory, 6-5, over the North. Severna Park’s Cam Clark was the game’s biggest star, going 3-for-4 with an RBI and a run scored, earning him the game’s Most Valuable Player Award. Clark opened the game with a double and was scored by his high school teammate, Kody Milton, who delivered an RBI single and Archbishop Spalding’s Peter Godrick added an RBI double as the South took a 2-0 lead in the bottom of the first. 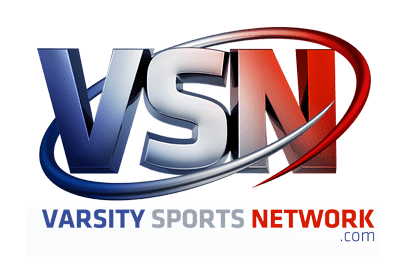 Joe Siedler of Chesapeake-AA, who has twice been named the VSN Baseball Pitcher of the Year, pitched two scoreless innings for the South, striking out two and allowing just two hits. The North moved in front, 3-2, with a three-run fifth, but the South bounced right back, scoring four times in the home half of the inning, to build a 6-3 advantage. Again it was Clark and Milton in the thick of the rally, as both had RBI singles in the surge. Milton could have easily been selected the MVP as well, as he finished the game with two hits in three trips with two RBI’s. For the North, 2A state champion Century had four players on the roster, including pitcher Jeremy Lapp, Nathanael Hibbs, Ethan Kiple and Michael Marrale. Kiple had a big day at the plate, collecting two hits in four trips, and Marrale had a pair of walks and scored a run. In addition, Hibbs had a hit, reached base another time, stole a base and scored a run, while Lapp tossed two scoreless innings. In addition, Patterson Mill’s Austin Koehn turned in a strong effort on the mound, earning the Most Valuable Pitcher Award for the North. Pictured above: (from left) North Most Valuable Player Christian Policelli of Walkersville, North Most Valuable Pitcher Austin Koehn from Patterson Mill, Orioles Advocates President Arlene Grimes, South Most Valuable Pitcher Marcus Brown of Riverdale Baptist and South Most Valuable Player Cam Clark of Severna Park.